to add your event to this page. always check with the event organizer when planning to attend event. Get �em while they�re hot!! We still have TWO spring student educational workshops available! 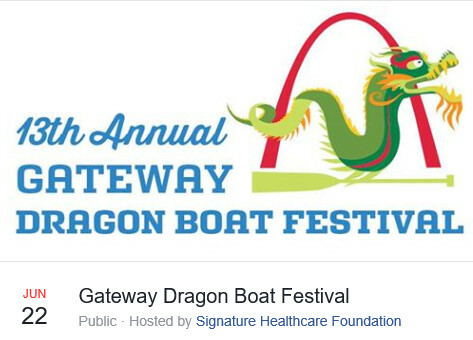 We�re headed back to Alton, IL to host student educational workshops in our �floating classroom!" 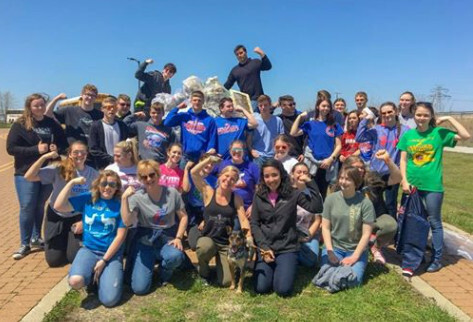 We�d love to bring your students aboard and give them a conservational lesson of your choice, and even host a river cleanup! Click the link below to learn more or sign up. 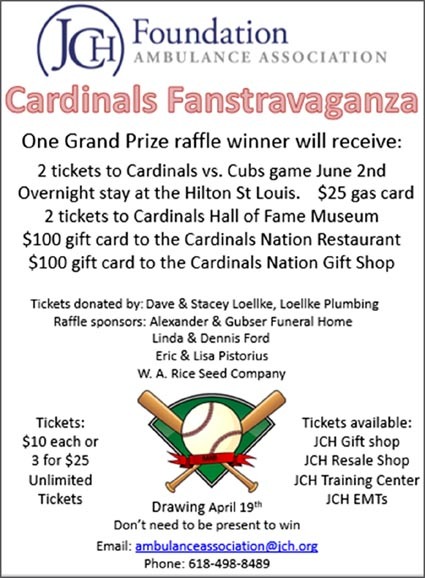 Win Cardinals tickets and an overnight stay that benefits our Ambulance service. 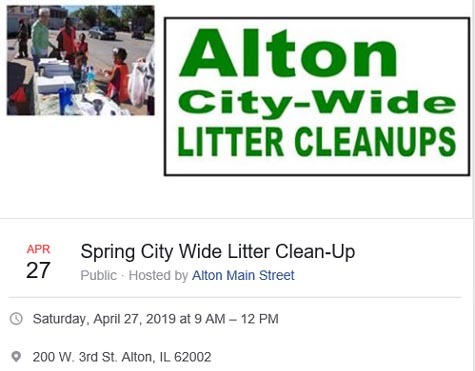 Please join this biannual effort to clean up the streets of our beautiful community! OR�just clean up your neighborhood & deposit the litter in your own trash & recycle bins! These free events will commemorate the golden anniversary of the St. Louis Urban Fishing Program. St. LOUIS, Mo.�In 1969 the St. Louis Urban Fishing Program started as a tentative experiment. That first toe in the water has since evolved and grown into a vibrant program which has been bringing fishing close-to-home for St. Louis residents for 50 years. To celebrate the golden anniversary of 2019, the Missouri Department of Conservation (MDC) and its urban fishing partners are holding a series of family fishing festivals throughout the months of April, May, and June. These events are free and open to the public, and anglers of any age, both expert and novice. MDC�s urban fishing partners include the Cities of St. Louis, Ballwin and Ferguson, and St. Louis County. 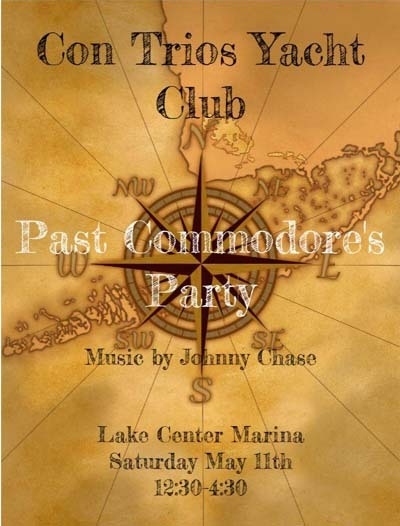 Each festival will be hosted at a program partners� lake on a Saturday and will run from 8 a.m. to noon. The entire family is welcome, and no advanced registration is necessary. Activities will include free fishing instruction to help give newcomers to the sport a kickstart. MDC will stock additional fish for these special events, so not only will the fishing be fun, but the catching should be good too. A valid Missouri Fishing Permit is required for anglers between the ages of 16 and 65. For more about the Urban Fishing program, go to https://bit.ly/2Fru9p6. We are ready for the start of a great season here in Grafton, IL. 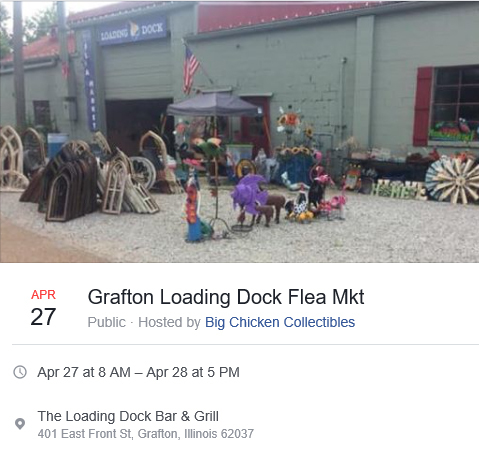 Look for us outside in front of the Loading Dock with our great farmhouse decor, arched windows and fun metal signs and animals, and so much more .. all at great prices. 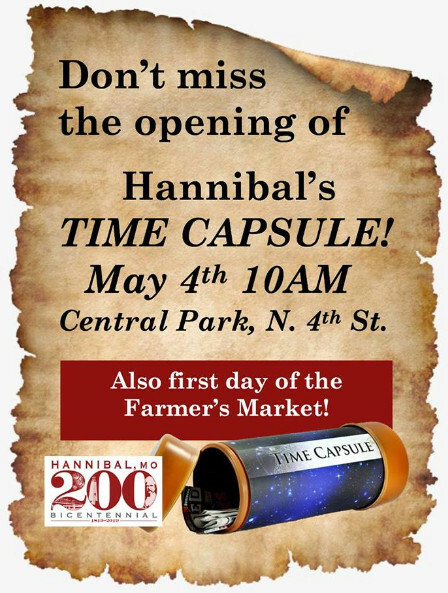 During Hannibal's Sesquicentennial in 1969, residents buried a time capsule. Now, it's time to open it! Neighbor Nights is a community event series at NGRREC held on the first Tuesday of select months throughout the year. Neighbor Nights is a great time for you, our river neighbor, to come and learn more about the great rivers of the world, the watersheds that feed them, and the communities that use them. It�s also an opportunity to participate in public tours of our LEED certified field station, get behind-the-scenes laboratory access, or enjoy hands-on activities. Limited free food and beverages will be provided. We are excited to announce that Schlafly Beer will be partnering with NGRREC for our 2019 Neighbor Night series! This means that, while you hear from NGRREC staff about their work and learn about river-related topics, you can enjoy free Schlafly beverages. Both Schlafly Beer and NGRREC are committed to environmental sustainability, so the partnership was a natural fit. And, we can�t wait to bring this partnership to you! Each month offers something different and highlights a unique project led by one of our researchers, educators, or conservationists, so make sure to check out this year�s topics and come see us for a few of your favorites! In honor of the upcoming Great Rivers and Routes Craft Beer Week, which runs from May 10 - 17, five Riverbend craft breweries have partnered up to create a special craft beer, Farmhouse 66. Click here to read more from thetelegraph.com. The Illinois RiverWatch Network is a statewide, non-profit, volunteer stream monitoring program. Volunteers are trained and certified as �Citizen Scientists� to monitor and protect a local stream. Upon completing training and becoming certified, volunteers adopt a stream site and examine indicators of water quality like stream habitat and the diversity of macroinvertebrates. This workshop will take place at the address above. This workshop is primarily for adults (18+) and 4-H members. Kids under the age of 18 are allowed to attend with an adult chaperone, and are not required to register, but do need to be noted on their chaperone's registration form. Special instructions for 4-H members. 4-H members must select "payment by check" and list their organization as their 4-H group so that the Illinois 4-H office can pay your registration fee. Registration and Payment Deadline. Registration and payment must be made by one week before the event to secure your seat and materials for the workshop. Anyone registering or paying after this date is not guaranteed admittance. Payment Refund Policy. Workshop registration payments are fully refundable (-2% processing fee if paying by credit card) if refund is requested by one week before the event. Refunds requested within one week before the event WILL NOT be granted. 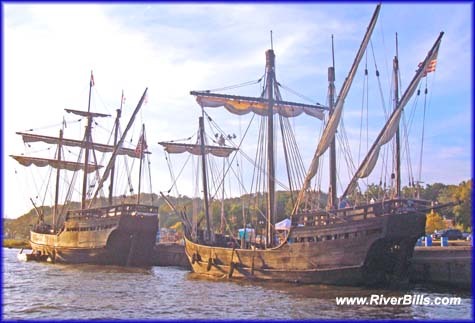 The Nina and Pinta, replicas of Christopher Columbus' ships, will be open to the public for touring! 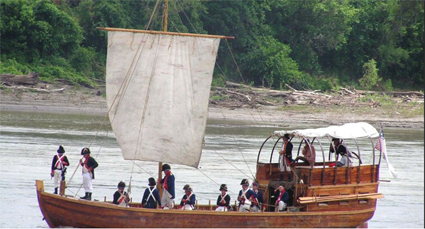 Archaeology magazine has called The Nina the most historically correct Columbus replica ever built. While in the port, the general public is invited to visit the ships for a walk aboard self-guided tour. *Teachers or organizations wishing to book a 30-minute guided tour with a crew member should call (787) 672-2152. The Inland Marine Expo isn�t just a tradeshow, it�s a homecoming for the hard-working and dedicated inland community. Make plans to catch up with your brown water family at IMX2019. 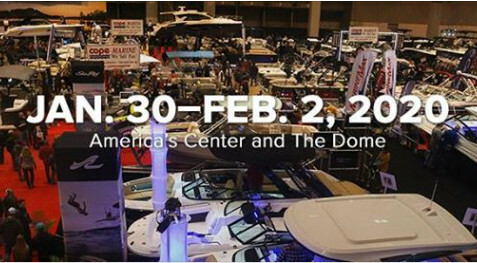 �With two exhibit days, you'll be able to connect with over 250 exhibitors who cater to the inland and intercoastal commercial marine industry. �Learn from top industry experts and nationally recognized speakers and stay current on regulatory issues by attending education sessions, training opportunities and new product/ service showcases. �Join us for networking events around St. Louis to reconnect with friends and build new relationships within the inland community. Saturday, Sunday...May 25, 26, 2019.. 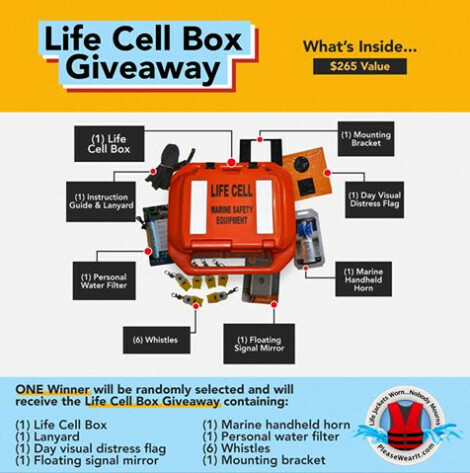 Please Wear It is giving away a Life Cell Box to one lucky winner! Click the link below to enter! ONE winner will be randomly selected. To enter you must be 18 or over. While supplies last everyone that enters will receive a Life Jackets Worn...Nobody Mourns campaign t-shirt. 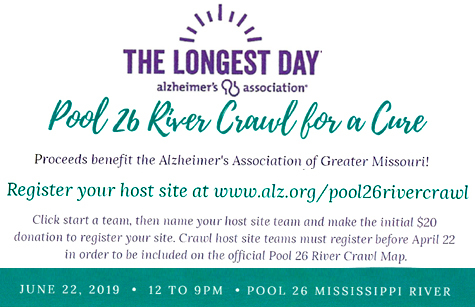 Deadline to enter is June 5, 2019. 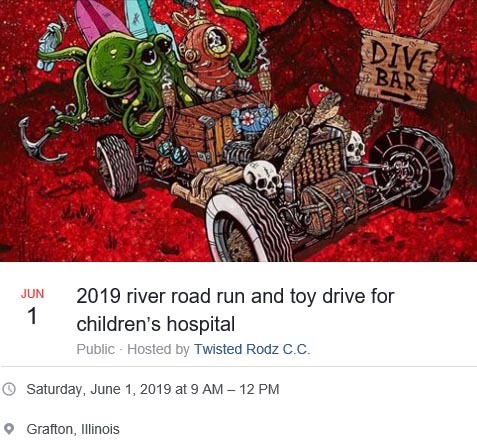 Add June 11 to your calendar and join us! 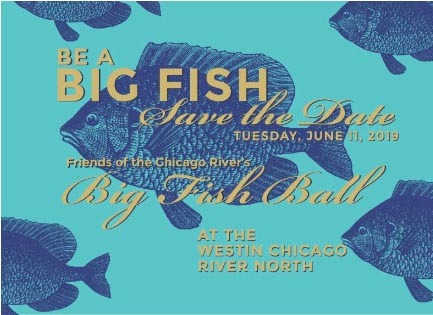 It's our 14th annual Big Fish Ball, Friends' signature fundraising event that supports our mission to improve and protect the Chicago River system for people, plants and animals. 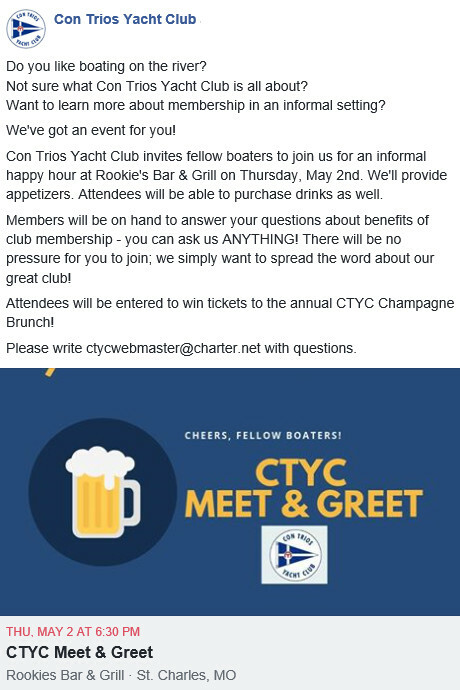 This year's fun, colorful, summer party on the river is scheduled for Tuesday, June 11 at the Westin Chicago River North, 320 N. Dearborn St., Chicago from 5:30 p.m. to 8:30 p.m. The event includes the opportunity to engage with amazing river wildlife, sip some delicious cocktails, enjoy a three-course dinner plus a chance to win incredible raffle packages and bid on silent auction and live auction prizes. Be a big fish so you and future generations can have a healthier and cleaner river! The Big Fish Ball promises to be a wonderful night as Friends celebrates our 40th anniversary this year and all of the successes to date. A magical river cruise, available for an additional fee, will cap off this memorable evening. Tickets are on sale now at http://bit.ly/BigFishBall2019. 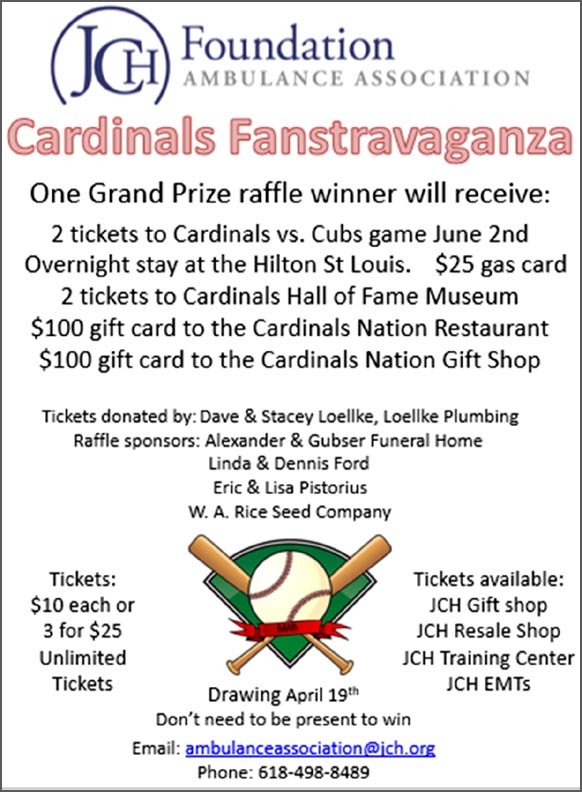 For sponsorship opportunities, table purchases and raffle donations, please contact Kim Olsen-Clark at kolsenclark@chicagoriver.org. We are excited to announce that this year All donations made will be going to Shiners Hospital for Children. Meeting Point will be next to the Old Riverhouse which is currently shutdown in the main channel. 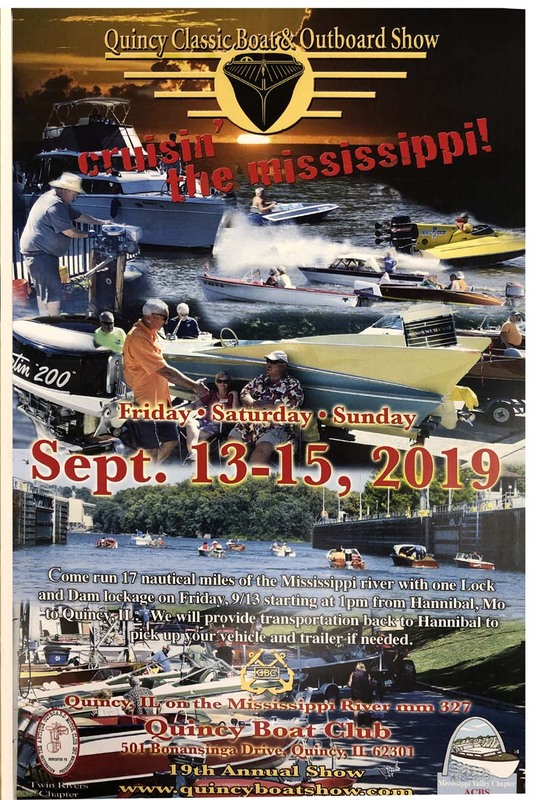 ( Plenty of trailer parking for boats in the parking lot) There is Also A ramp in Evansville Next to Waterstreet if wanting to meet along the way.) The Run will take off at 11am. 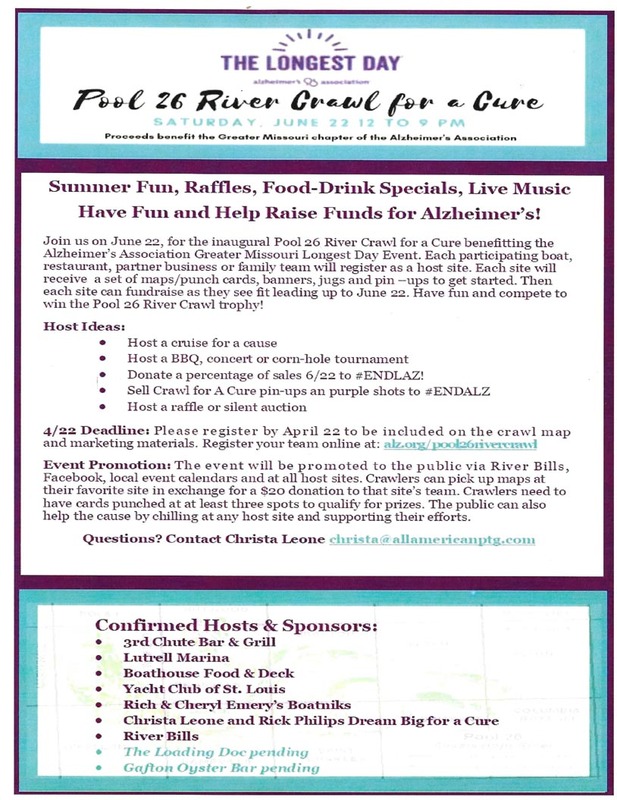 The Run will go all the way to the Sandbar on the Mississippi With a DJ Playing music all day... So Bring your BBQ Grills, Volleyballs, Games, ETC. Please be Responsible and Obey the No wake zones as the Run will go through many of them & Also the Lock & Damn Rules. 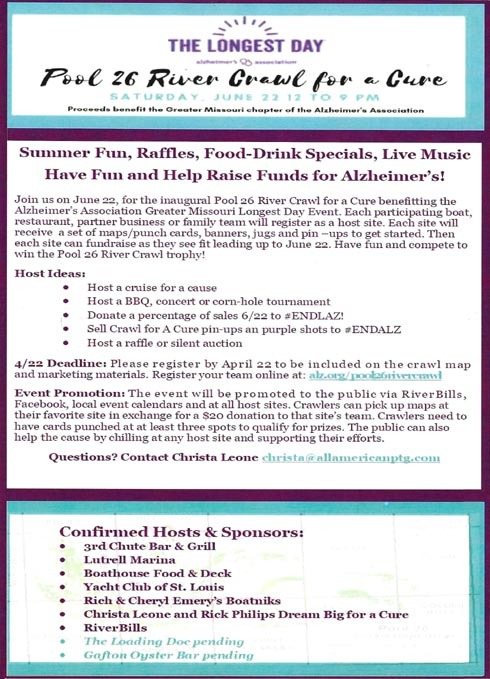 We are hoping for another great turnout and weather again! If you or your company is interested in Donating please reach out to me. All donations that will be made will have your company logo on the back of the shirt. All Tshirts Sold 100% of Donations will be going to Shriners Hospital for Children. More details on the event will be posted to event page and website as they come in. Officials recently made the first concert announcement for the Liberty Bank Alton Amphitheater's 2019 concert season. The Steve Miller Band and Marty Stuart will be coming to Alton in June. 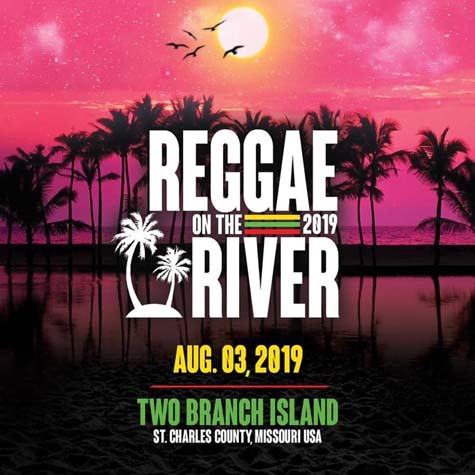 The legendary performers will be performing at the Amphitheater, which is a short walk from the Alton Marina, on June 21, 2019. Click here to read this news story from altondailynews.com. With Photo and Audio. 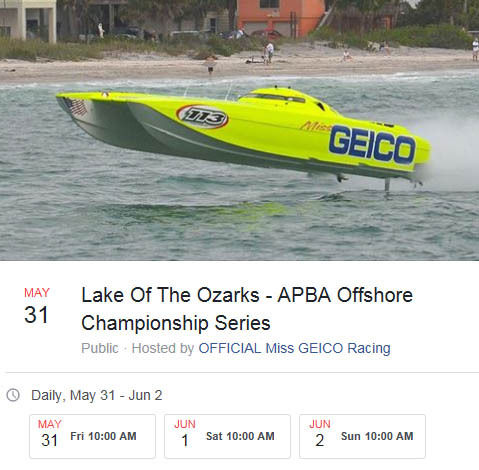 Click here to visit the Liberty bank Alton Amphitheater website for more information. Registration deadline is June 14 for the Cardboard Boat Races. The fourth annual Hannibal Parks & Recreation Department Cardboard Boat races will be June 22 at the Hannibal Aquatic Center. Last year there were 17 boats in the event. Waivers must be signed for each passenger. 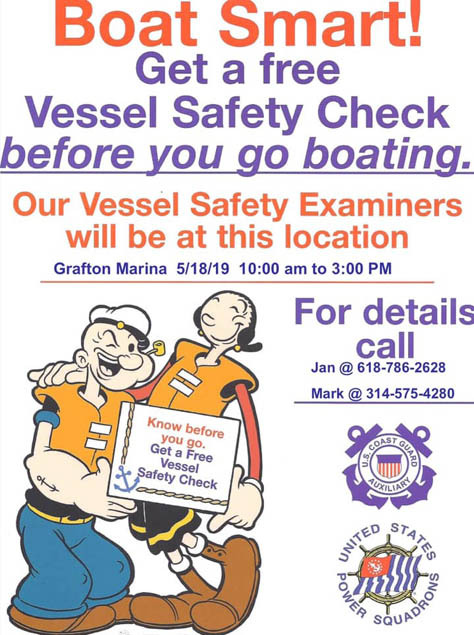 Boat check-in is 8 a.m., with the first launch at 9 a.m. Each boat must have two passengers, ages 6-16. Rules are on the hannibalparks website and available at the HPR office, 320 Broadway. The entire boat and oars must be made of cardboard. Rules are available on www.hannibalparks.org. 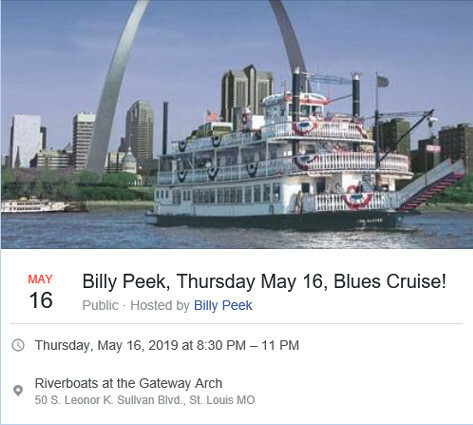 I am Rick Flier, President if the Blessing of the Fleet STL and it's time again this year for our celebration of the 62nd year of our organization and the gala events that keep the spirit alive and well throughout our boating community. 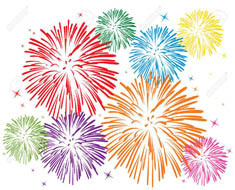 As in the past few years, under the leadership of Darryll and Maureen Weil, we are contacting our great friends and businesses to see if donations for the BENEFIT for the Blessing, taking place at Grafton Harbor at 1pm, on July 27th, 2019 would be possible. 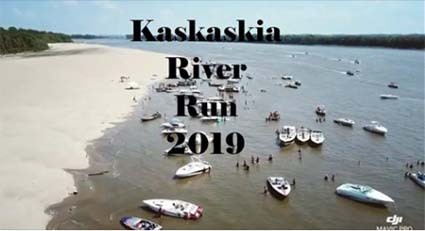 The Blessing parade will start at 1pm, on August 17th, 2019 with lead boats leaving from The Yacht Club of St Louis and heading downstream, and leaving from Alton Marina and heading upstream, to join at the Our Lady of the River shrine at 2:15pm for commencement of the ceremony. As always, decorated boats will be judged as they pass by the judge's stand - the theme has yet to be determined but notification will be made to everyone as soon as that has been established. Your generous donations and support have helped keep the heartbeat alive and active and hopefully we can count on you to help this year as well. 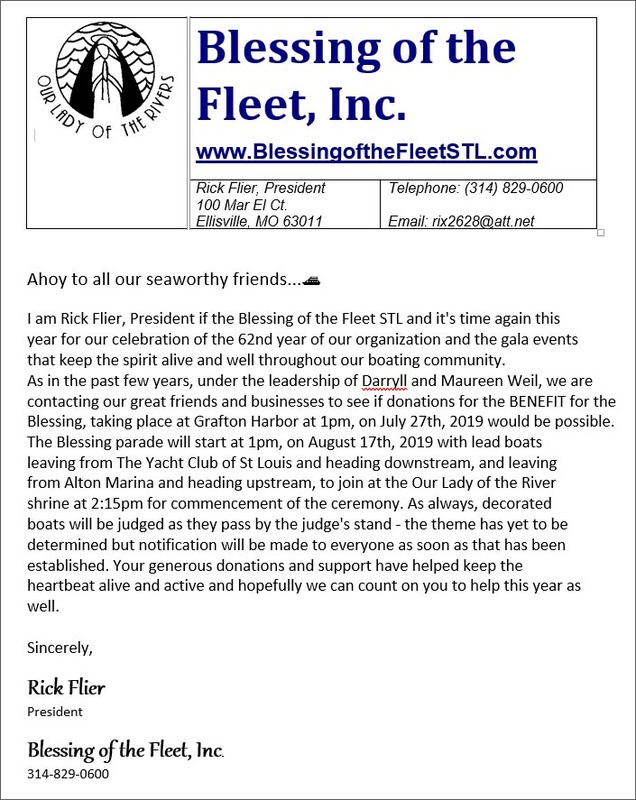 Blessing of the Fleet, Inc. 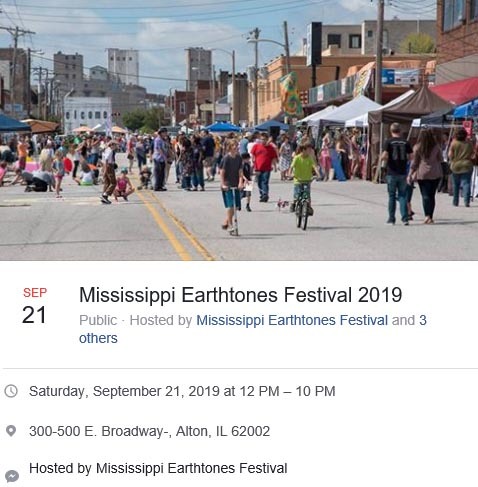 The Mississippi Earthtones Festival, co-organized by Alton Main Street and the Sierra Club, is a celebration of our river through art, music, and conservation. 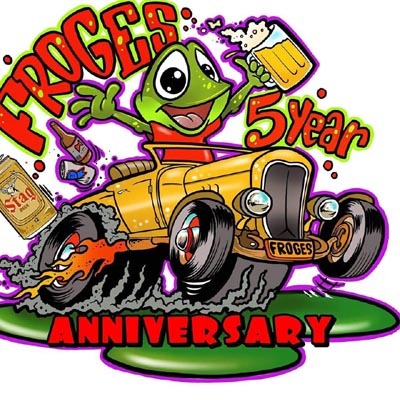 This 13th Annual event falls on September 21st, and will attract thousands of people to Broadway, where the street will be closed to traffic between Alton Street and Langdon Street from Noon until 10:00 p.m. There will be several agencies on hand to teach consumers how to incorporate more sustainable practices into their daily lives, along with companies featuring Earth-friendly products and services. A variety of fun and educational activities are planned for families. Dozens of local artisans will offer their nature-inspired, hand-made, and environmentally-friendly wares. Wind-powered music will fill the air throughout the day! 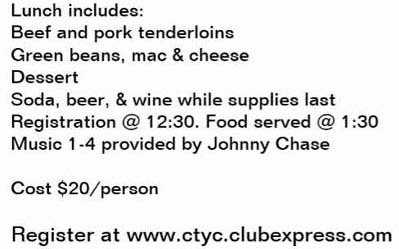 Come hungry because there will be a great selection of local food & beverages on site. 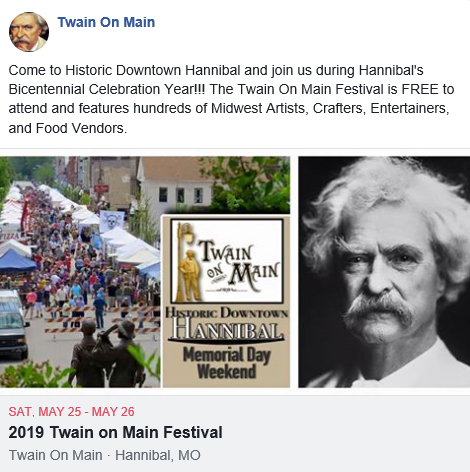 Broadway businesses are preparing to roll out the red carpet for the crowd, and a number of shops will have displays and merchandise on the sidewalk. There is ample parking for festival attendees in the Farmers� & Artisans� Market parking lot, located at 501 Landmarks Blvd. ; guests can simply walk across the pedestrian bridge directly to the event. It�s official�� Bass Pro/Cabela�s KingKat Classic is coming to Grafton this fall. The Grafton Chamber of Commerce and KingKat tournament director, Jeremy Coe,reached agreement on terms for a 2 year contract beginning with an October 19,20019 event and then October 3,2020. 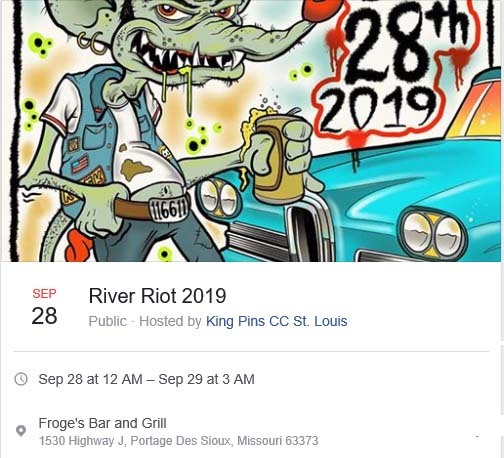 It will be called the RiverRat King Kat Classic .This will be a one day tournament for the adults and the Sunday following will be the kids tournament. 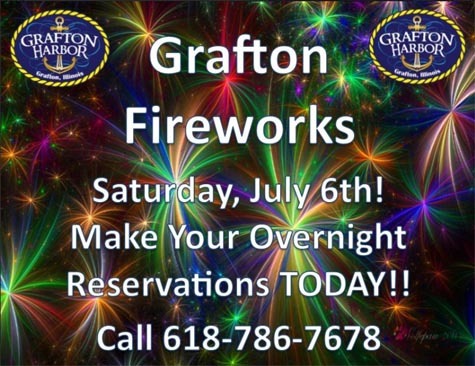 We feel that this will be a tremendous opportunity For the city of Grafton and we look forward to your continued support. Thank you!